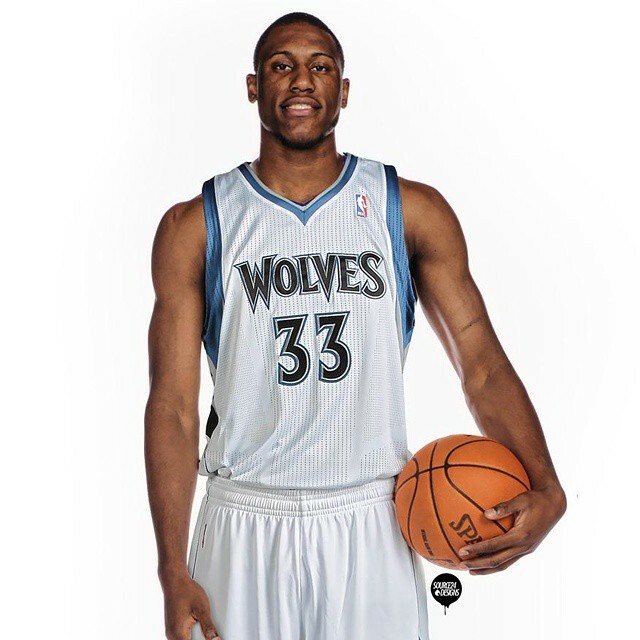 I’ve had the privilege of covering Thaddeus Young’s rise in the NBA for the past seven seasons. During this time, Young has impressed me a great deal as both a player and a person. He’s served as an example to the NBA of someone who’s not only dedicated his all to his craft on the court, but to everything that the NBA tries to stand for off of it as well. Looking through the NBA’s values statement, it instills a few main points – to grow through teamwork, innovation, integrity and respect. Young is the epitome of those values. That’s why Saturday’s trade haul for Young by general manager Sam Hinkie serves as a disservice and an insult to the Sixers’ longest-tenured player on its roster. Based on Hinkie’s press conference in late June, he can easily be accused of lying through his teeth as well. #Sixers GM Sam Hinkie anticipates Thad Young remaining a Sixer. Young was traded to the Minnesota Timberwolves for a 2015 top-10 protected first-round pick from the Miami Heat, shooting guard Alexey Shved, and forward Luc Mbah a Moute. The Sixers could potentially get value from the pick, which projects to be in the latter half of the first-round next season, but Shved and Moute are nothing more than expiring contracts. Once again, Hinkie has landed nothing of value that can contribute to the team in the upcoming season and has further shoved in the face of commissioner Adam Silver the great lengths he’ll take towards setting the standard for tanking in the NBA. Even if Young may or may not have requested a trade, I’m positive that being sent to a team in another rebuilding situation wasn’t the type of opportunity he had in mind. If the Sixers really are heading towards greener pastures, what makes the Timberwolves that much better of a situation for Young? Don’t the Sixers have the 2013 Rookie of the Year in Michael Carter-Williams and potentially the 2014 as well in Nerlens Noel? Isn’t newly drafted Joel Embiid considered a once-in-a-decade type talent? In Hinkie’s press conference in late June, he mentioned how Young holds great value to the team as both a player and a veteran presence. His work ethic was something that he admired and believed that he’d be a great addition to the rebuilding process and the development of the Sixers’ young core. The lone veterans on the team are Jason Richardson, 33, whose contract is set to expire after this season and Arnett Moultrie, 23, who now becomes the longest-tenured Sixer on the roster. So much for having role models for the team’s youth. What kind of message is this sending to the rest of the team, or for that matter, a future free-agent who might be looking at Philadelphia as potentially their next career destination? If you work hard, serve as the best teammate and leader that you can and always respect the people around you, you’ll be sent out of town at the turn of a dime? It was one thing when Spencer Hawes and Evan Turner were traded – any value for them, as little as it was, would’ve been looked at as a success. But, trading Young shows how bad things have gotten in Philadelphia. If Young requested a trade, it’s because he’d rather be looked at as an important piece of the puzzle in Minnesota rather than a valuable trade chip in the mind of Hinkie. The Timberwolves will have the same opportunity to ship Young out of town next season before the deadline in exchange for something of value, like the Sixers would’ve unquestionably done had the deal not been completed yesterday, but the difference is they won’t and by the end of the season he’ll likely have a new deal in place – as he deserves. In any job, the harder you work and the relationships you build are what ultimately lands that big paycheck at the end of the day. Young did that and Hinkie in a sense just cut him for some temporary, bottom-of-the-barrel talent. Cheaper, yes, but not near to the quality or long-term value of Young. The Sixers are now a team with no identity, they have a group of owners with no loyalty and they’re about to embark on yet another historically bad season. Good luck getting the Kevin Durant’s of the league to think highly of Philadelphia as their next landing destination, no matter how much money’s involved. For a team that uses the slogan ‘together we build’, there’s been a lot of separation going around lately.